This artwork is from Les Maitres de L’Affiche series. These miniature versions of outstanding stone lithographs are of the most important advertising posters of the time. 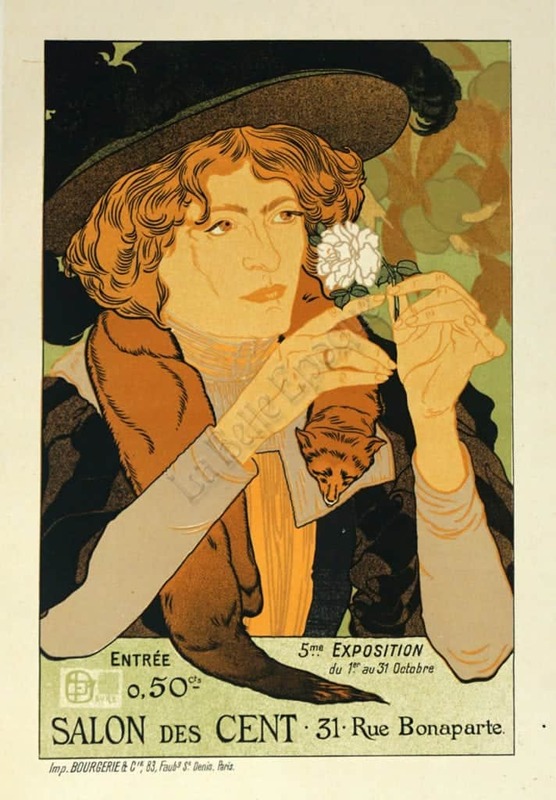 Featured is a red-headed women wearing a hat, toying with a white flower. She’s wearing a very luxurious fox scarf around her neck.